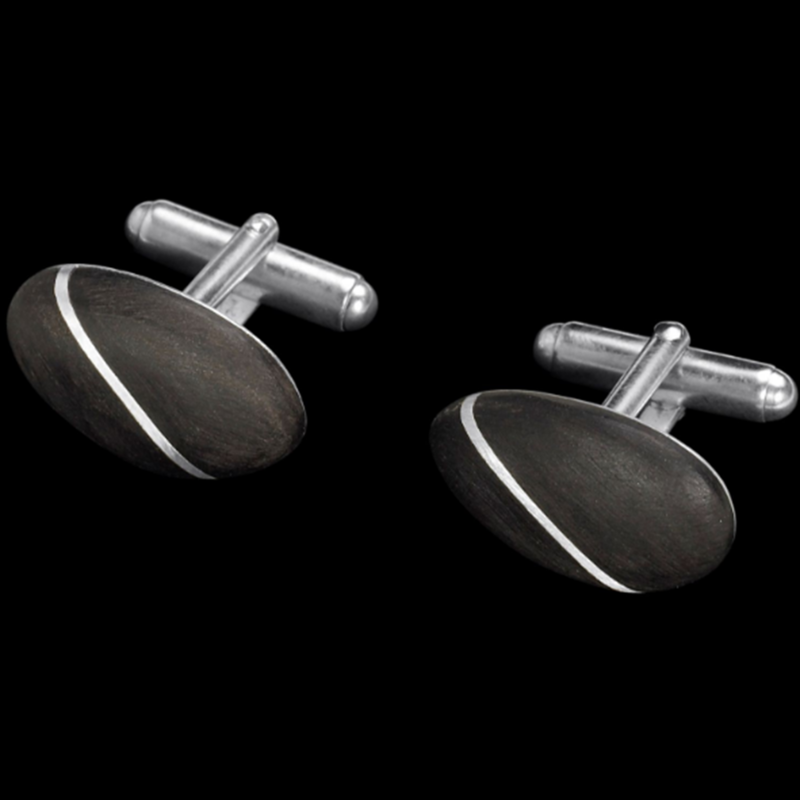 These gorgeous cufflinks are made in the UK, they exude quality and would make a perfect gift for that special occasion, especially 5th (wood) anniversaries. Handmade using wood from a one hundred year old ebony log, the ebony is carved and polished into smooth, matt black pebbles which are then inlaid with a 1mm diagonal stripe of pure silver. 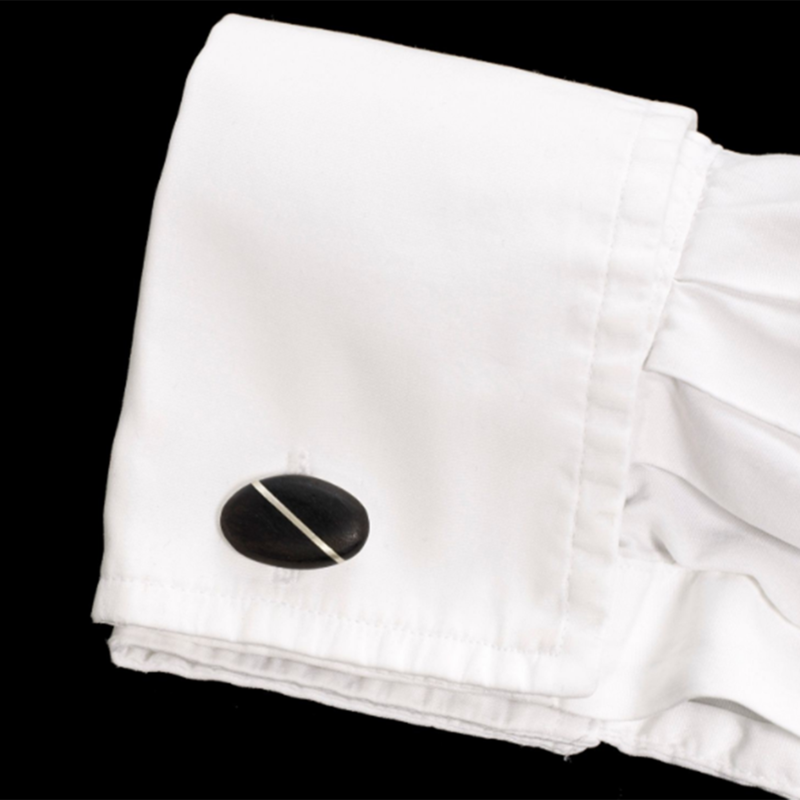 Stunning against a white shirt, and the perfect finishing touch to a dinner jacket. The cufflinks are then finished with sterling silver toggle backs before being hallmarked by the London Assay Office. FREE UK delivery via Royal Mail Special Delivery. Items will be dispatched within 1-3 working days of ordering. We will notify you once your Pluto Ebony Cufflinks have been dispatched.